Those "Hidden Pictures" pages in the Highlights magazines? 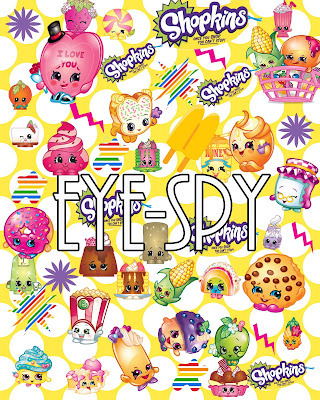 I made this one for Kennedy since she loves Shopkins. 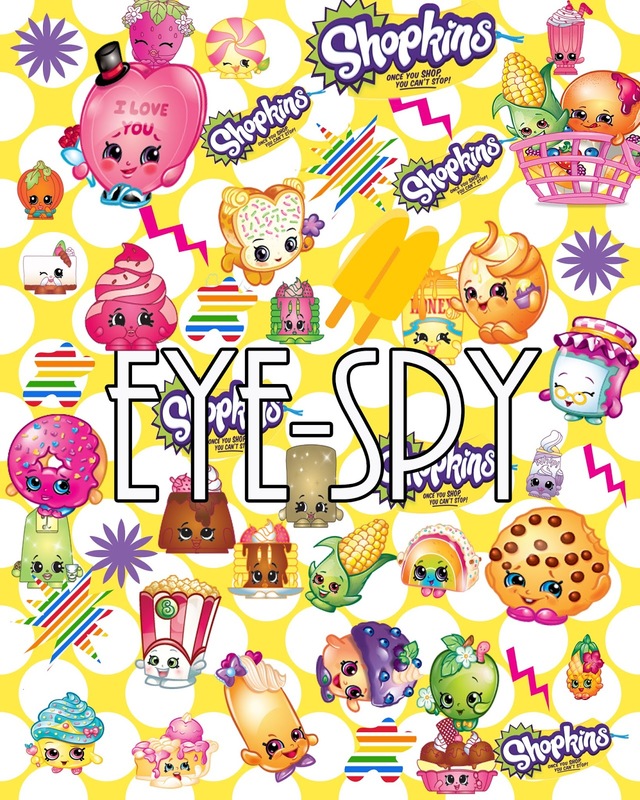 Maybe someone out there would like to make an EYE SPY book too. If so, just right click this image and save it to your computer. Print it out (8x10 document). I plan to print mine on photo paper purchased at the Dollar Tree.